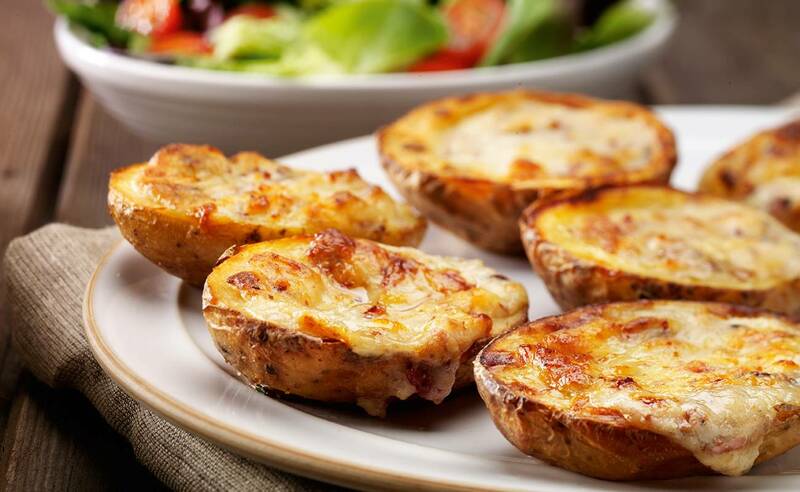 Served as a starter or as part of a sharing plate, these traditionally baked potato skins are filled with a classic combination of smoked bacon and British cheddar cheese. Bound to keep them coming back for more. 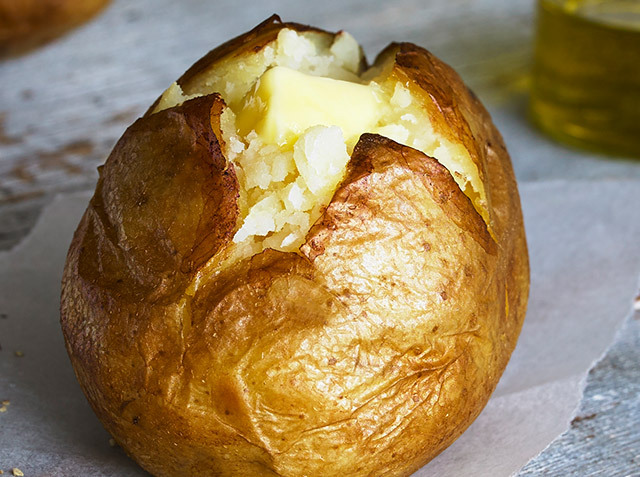 British Potato (75%), Water, British Cheddar Cheese (Milk) (7%), Smoked Bacon (4%) (Pork, Water, Salt, Sugar, Smoke Flavouring, Preservative: Sodium Nitrite), British Monterey Jack Cheese (Milk) (2%), Sunflower Oil, Mustard Powder, White Pepper.